Biopics tend to be one of the more respected genres in the film industry, whether that be during the awards season of on an everyday critical basis. There's obviously something about their real-world glamour and lofty ambition that singles them out, over and above genres such as the notoriously under-represented horror for example or, dare you say it, the comedy. When done badly though, biopics can be as difficult to stomach as watching Gerard Butler and Jennifer Aniston handcuffed to one another, a fact unfortunately represented in Coco Before Chanel, a French film detailing the early life of fashion icon, Gabrielle 'Coco' Chanel. Taking a rather literal approach to Chanel's early life, the main problem with Anne Fontaine's film is its distinct lack of excitement, drama or anything even approaching distraction at some points. 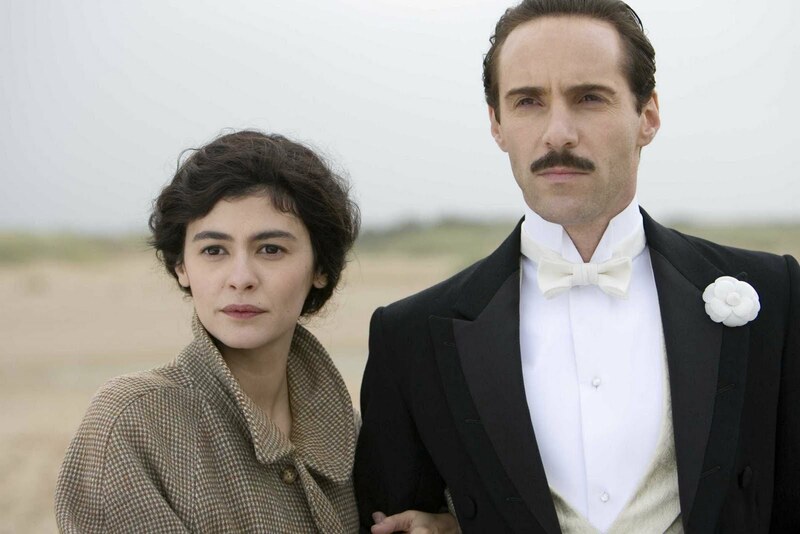 In a constantly flat, cold and detached first half, little of note actually happens and any relief to be gained from Benoît Poelvoorde's lively performance as Chanel's first love interest is quickly snuffed out, as stoical Audrey Tautou (as Chanel) drags him down to her level of inertia. Tautou, required here to flick between egregious outbursts of moody passion and quiet disinterest, struggles distinctly to imbue Coco with anything but a stereotypical stoicism that pulls down not only Poelvoorde but typically anybody required to interact with her. Thankfully, in terms of performance, this does change when second lover Arthur Capel (Alessandro Nivola) arrives on the scene but whilst Tautou begins to show more range, her character seems never-changing and if this film is to teach us one thing about Chanel it's that she rarely smiled and seems a generally unsatisfying person to be around. Which all leads to a film which holds a similar experience. Despite some good work from Poelvoorde in the first half and an excellent turn from Nivola in the second, combined with Tautou's recovery, Coco Before Chanel never threatens to ignite dramatically or visually and ends with Fontaine's hand almost being forced into showing us a catwalk show, if only to inject some much needed vigour and colour into a film distinctly lacking in both. The biopic is still the king of Hollywood but if it's done as flat and lifelessly as this more often, Butler and Aniston will soon catch up.